Family Style Dining: Most sit-down restaurants will have a wide selection of relatively healthful choices. Lean meats and fish, breads and whole grains, vegetables and salad fixings will be neatly stored in refrigerated units and in tins on shelves. Anything you take needs to be light enough to transport easily. Most restaurants (this includes cafeterias) have industrial sized tubs and cans of food. If you are willing (and have the disposable time) to open and re-pack the vittles, lots of goods can be acquired. Convenience Stores: These stores offer a variety of food items. Unfortunately, most of them fall into the same nutritional void as the stuff in fast food establishments. One benefit to the convenience store is the plethora of beverages. Water, iced tea, soda, and fruit juices abound. Avoid the iced teas, sodas, and most juices. They are full of sugar and don’t offer much in the way of nutritional value. Loot the waters and whole juices like original V8®. These will help keep you hydrated and have actual nutritional value. Another benefit to this type of store is the wide selection of jerky. 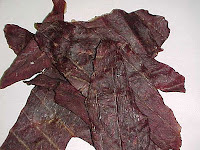 Usually jerky comes as beef, but occasionally you will find chicken and even turkey jerky. I know: this food is salty and generally unappealing looking. 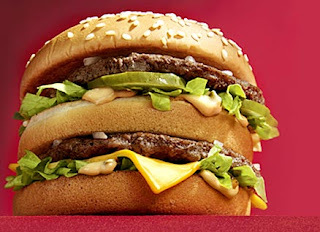 It is also almost all protein and low in fat. So long as you drink water, the salt content won’t be a problem and you’ll get loads of protein which provides long lasting energy. When possible, go for the canned foods here as well. Many will have pop-tops and long shelf lives. Avoid anything that requires cooking (i.e. – dry noodle cups). Grocery Stores: Good old Stoppies, Safeway, A&P, Piggly-Wiggly – well, you get the idea – will have loads fresh fruit, vegetables, meats, and fish. If you manage to get into a supermarket before the power has gone out and the fresh stuff rancid, go for it. Stay to the outer aisles where the fresh foods are. These choices will give you the highest amount of sustainable energy. After the first few days, once the power has gone out and the refrigerated units no longer work, these nutritional havens will lose much of their appeal. Not because they won’t have an abundance of useful items, but because they will smell absolutely horrid. Fruit, vegetables, meats, fish will all rot. The stores will smell of Death itself. However, if you can brave the stench, there will be canned meats, fruits, vegetables, pastas as well as crackers and other items with longer shelf lives. And while you are rummaging through the aisles, taking anything you can carry that might be helpful down the line, remember to grab a can-opener. Oft overlooked, this ordinary household item is essential in opening any can that does not have a pop-top. Warning: DO NOT try to heat an un-opened can of food. Pressure will build inside the can. Because the can is air-tight the pressure will cause it to burst (read as explode) causing injury or death. Have we missed anything? Leave a comment! The fact that a disclaimer about unopened cans has to be stated is REALLY sad. Why doesen't McDonald's just cover all bases and put anote on their coffee cups...wait...don't need to go there.